I don’t get to play Titled Tuesday much on chess.com. When I do, I always want to make use of the opportunity to brush off some rust and study new opening ideas. I played an interesting opening and got what I wanted out of the opening. In the middle game, I had the tide on my side and would have made small improvements to make it less complicated. When it turned to the endgame and time scramble, nerves got in the way, and I couldn’t finish off the game. In the end, mission to brush off rust and study new openings were accomplished for this game, but the result was not satisfactory. This game helped me to feel even stronger about how blitz can help me improve. For anyone in the Southeast, CCSCATL will have an in-person Blitz Tourney on Saturday, July 21. Hope to see you there! Now a couple weeks removed from my tournament at the Marshall Chess Club, I’ve had some time to think about my performance and prepare for the Chicago Open. Admittedly, NYC didn’t go as planned. Playing more solid openings in a rapid tournament, while good review, kept my hands tied against talented youngsters, which forced me to concede some draws I would have preferred to avoid. All said and done, I finished 4.5/8 over the weekend. I think what these tournaments did show me was that when I play an opening, it is much more important to understand the concepts than remember the moves. Now I’m sure many of you know this (as do I), but actually applying that can be difficult. Let’s face it – you need to know openings for both sides, and inevitably when there’s a sharp line, it feels like you need to remember the move order to not fall for some tactical traps. As you can see, my opening moves are hardly impressive. I simply thought of what set-ups would be the most annoying for Black and took away his only ideas. And in the game Beilin beat me from last night’s stream, you could see how quickly I fell apart from not knowing the best response. When learning a new opening, you really need to understand the key concepts. If you don’t remember the exact move you need to play in a given position, you can work backwards with: what’s your goal? what’s the ideal set-up? If you’re just looking at the computer for the best move when you’re planning out your openings, you are depriving yourself of that exposure you really need to play sound opening chess. As I mentioned in the video, I’ve decided to play in the U2300 section instead of the Open section. Even with a month to prepare since the end of the semester, I was asking a lot of myself to be on my best form going into the Chicago Open. I’m hoping that playing in the U2300 will help me continue to develop as a player and better prepare me for future opens later this summer. The amount of articles, books, apps, and video content devoted to the topic of openings is absolutely staggering and a bit intimidating. Indeed the opening sets the mood for a game and can determine long term success or failure. There is great pressure to make a strong opening as seen in any game from a casual pick up to the world championship. The good news is that a strong opening rooted in some basic fundamentals can help you determine the path of your game. As stated before there are tons and tons of sources on openings, but all share some of the same root principles. For demonstration sake, we will examine the Ruy Lopez or “Spanish Game”. This opening is named after a 16th century Spanish Priest and is still used at all levels of play today for very good reason, it works and follows some basic principles. So to begin, the first principle of a strong opening is also one that remains throughout the game – control the center. If you can control the center of the board, in most cases you can control tempo and make your opponent play YOUR game. d4, e4, d5, and e5 aren’t just the heart of the board but the heart of many tactical and strategic elements. Controlling or possessing these squares can help ensure a favorable pawn structure and help to defend pieces on adjoining squares. So to control the center let’s play e4, arguably the best move on the board. 2. 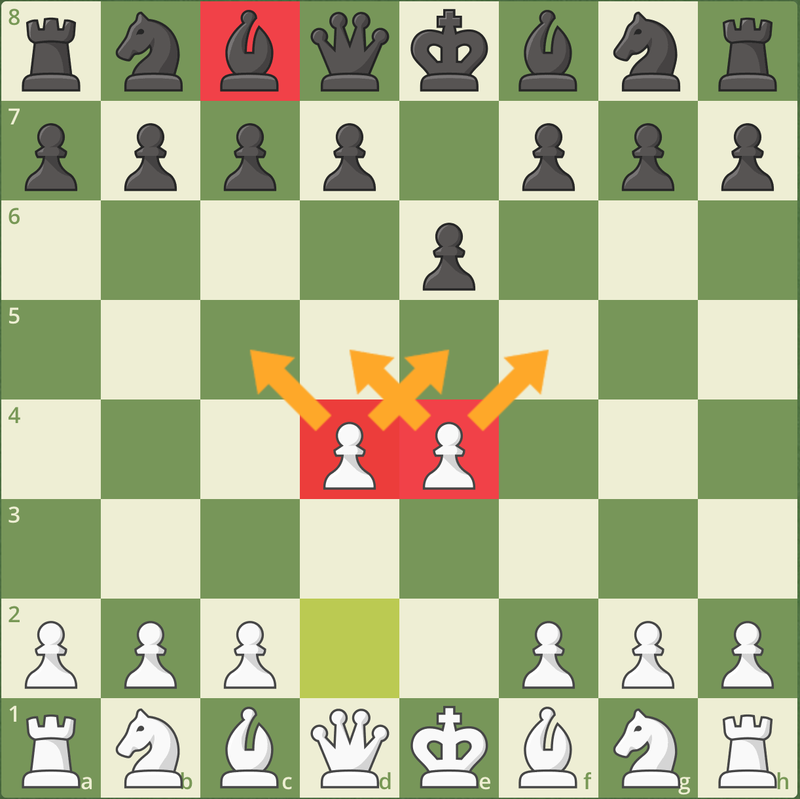 Nf3 quickly brings the Knight into action and is the perfect compliment to a Kings Pawn opening. This move puts pressure on the e5 pawn and clears out space for you to castle very soon, another principle of a strong opening and one that remains throughout all games – protect your King. a Knight at f3 is a great defender of it’s King, can combat enemies in the center and the right side of the board, and can also really open up the Kingside and facilitate some great counter play as the game unfolds. The next move in the Ruy Lopez line is Bb5. This prepares white to castle Kingside, threatens the Knight at c6, develops a minor piece, and controls the tempo all in one move. Once in this position white can determine many factors, set up some long term strategies, and leave many threats for your opponent to consider. From here there are tons of different lines and options for an interesting game. Develop quickly – the more weapons you bring to the fight the better. If your pieces are bottled up or not developed with purpose you will find yourself at a big disadvantage at all phases of the game. When developing, do so with the intention to control the center. Remember – the sooner you have developed your pieces, the sooner you can castle. Get the King to safety – the ultimate purpose of the game is checkmate, period. The sooner you ensure your King is protected the sooner you can begin your assault on the enemy. Many games are different, so deciding how soon to do this will be dependent on many factors. As you develop as a player you will learn when better to delay this act in favor of attacking or developing other minor pieces. Move each piece once – as discussed in one my previous articles, “Tempo, Tempo, Tempo”, unless you can gain a major advantage such as a fork, do not move a piece more than once in the opening. Doing so will cripple your development and give tempi to your opponent. This allows your opponent to unleash their weapons earlier and put gross amounts of pressure on you. Back in late 2015, I made the argument that despite his record against Magnus, Hikaru Nakamura was the player most in form going into the Candidates Tournament. I even boldly went so far to claim he would beat Magnus in a match with the way he played that year. Things didn’t pan out as a slow start in Moscow put a kibosh on Nakamura’s Challenger aspirations, but it is worth mentioning that shortly after the Candidates he did net his first win against Carlsen in Bilbao. While Hikaru’s current standing among the world elite won’t be the focus of today’s article, I did want to revisit a game I analyzed in my aforementioned article. Millionaire Chess 2 pitted Nakamura against young Grandmaster Sam Sevian early, in which we reached our tabiya for today. If you aren’t familiar with the game, you should quickly look over it here, as it will give you an idea as to White’s main ideas in this line. This win was particularly attractive for me as an English player, and for a short time, I even incorporated it in my opening repertoire. The underlying idea is pretty simple! With an early b2-b4 thrust, White intends to make Black choose between a having a weaker center, or letting White expand quickly on the queenside. If Black isn’t familiar with White’s ideas, these positions are quite dangerous. I remember a particularly euphoric win I had on chess.com against WGM Camilla Baginskaite (granted it was bullet, but the quality of chess was reasonable), after which I decided that this move 8. Rb1 was a legitimate weapon and sideline. A year removed from this game, its been really interesting to see how Black’s play has evolved at the Grandmaster level, and I thought the development of this line would make for a fascinating conversation today. For such a minor sideline to evolve so quickly, I can only imagine the headache it is to catch up with Najdorf or Grünfeld theory! As the last sub-title suggests, 8. Rb1 was not Nakamura’s creation – in fact, Kasparov even played it in 2001! However, Nakamura’s win against Sevian (and later Topalov) played a huge role in its return to prominence. So why did this line disappear among Super GMs in the first place? White’s plan seemed so easy – why would English players not play 8. Rb1? My best guess is because of the complications the crazy move 8…g5?! caused. With his rook still on h8, Black intends to punish White for castling so early! There’s actually quite a number of games here. Black’s intent is to quickly throw everything at the kingside and punish White for a slow 8. Rb1. This line was first really fashioned in 1993 in a clash between then top Grandmasters, Grigory Serper and Viktor Kortschnoj. Kotschnoj blew White off the board, and this move 8…g7-g5 really took off from there. I did a quick search by ChessBase in this line by Black’s rating, and was amazed by Black’s results. So it makes some sense that 8. Rb1 went out of fashion – this move really gave White a headache. But there’s a story untold here – Black’s wins in this line for the most part predate the development of super computers like Stockfish and Houdini. I took a quick look at the Almasi-Wang game played in 2011, and White managed to solve his opening problems (though his game was spoiled later on – perhaps thanks to the rapid time control). Since this game, 8…g5 has been played only ten times, with White scoring a splendid 7.5/10. Nakamura has most certainly looked at 8…g5, and for him to play 8. Rb1 means that he’s found something satisfactory for White as well. While this sideline had been played by GMs prior to Nakamura, his games accelerated the evolution of this line. As we see below, many of the strongest players who tried their hand at 8. Rb1 tried it after 2015, this putting it in the brief spotlight of Grandmaster level chess. So what can Black do? As we’ve seen in each of these games so far, Black failed to come up with an intuitive solution to 8. Rb1 and was punished for it. However, with 8. Rb1 starting to catch the eyes of strong players, it didn’t take long to find Oleg Romanishin’s tries in 1993 – 8…a5! Black plays the simplest move to stop b2-b4! This move simply asks White why the rook is on b1! This is the most simple move for Black, and moves us to the next chapter of opening evolution. Luckily for us, this move was featured three times in the Paris leg of the 2016 Grand Chess Tour, starting with Topalov’s try against Nakamura. 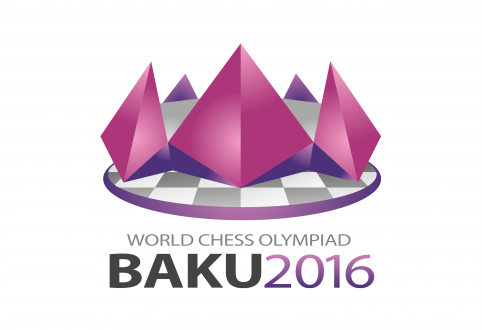 Topalov’s idea of simplifications in the center backfired, leaving the American a position where he could play for two results. Vesilin actually liked this game so much he tried 8. Rb1 as White later in the same tournament against Maxime Vachier-Lagrave and won! We’ll get to that game later as it will be the starting point of a future chapter. Unfortunately for me, I did not learn about 8…a5 through this game, but rather three months earlier in an over the board game against my Pitt teammate John Ahlborg! John hadn’t studied this 8…a5 line, but found it over the board and the game was smooth sailing for him from there. After the tournament, I started looking into this 8…a5 line and decided to stop playing 8. Rb1 entirely. It’s a great weapon against someone unfamiliar with theory, but with a little time, there’s not reason a strong player can’t find 8…a5 and play from there. Of course, opening theory evolves beyond my understanding, and its been an interesting journey to watch how 8. Rb1 progressed. Just ten days before I played John in the Pittsburgh Open, Russian Grandmaster Evgeny Tomashevsky neutralized White playing 8..a5, and needless to say, had I analyzed this game, I would have reconsidered playing 8. Rb1 in my own game. Trades on b6, a Last Gasp? Now we’ve seen 8..a5 a few times, it would be easy (like I did) to dismiss the 8. Rb1 line altogether, but one of the great things about opening evolution is that Grandmasters are always looking into new ideas! In each of the losses against 8…a5, White tried Bxb6 at some point, giving up the bishop pair for control of the b5 square. Topalov, as I briefly mentioned before, also tried this idea but with a lot more success against Maxime Vachier-Lagrave! Topalov may not have had a stellar event in Paris, but taking a play out of Nakamura’s book got him a crucial win! Black seemed powerless in that game! The novelty MVL came up with 11…Qd7 hardly challenged White, and the game quickly went into a lost endgame. So perhaps giving up the bishop pair for control of b5 is the right approach! Of course Black had some solutions too, and when a nearly 2600-rated Grandmaster went for 8. 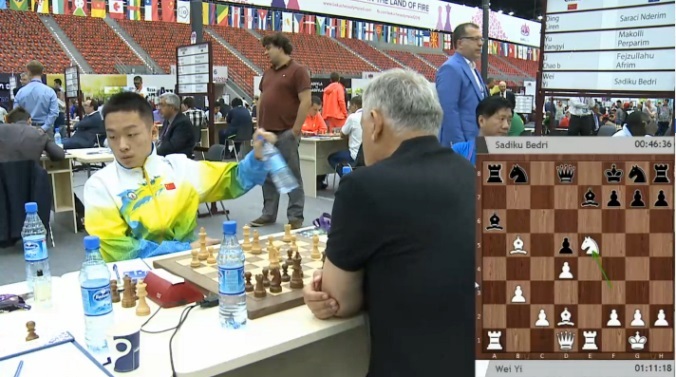 Rb1 against Sergey Karjakin in the recent World Blitz Championships in Doha, Karjakin quickly put an end to the shenanigans. I think this 8. Rb1 line is a fun line to try, especially in shorter time controls, but having played it myself, I don’t think I would advise it as a primary weapon. As we’ve seen through the evolution of this line, whenever Black’s found ideas to slow down White’s play, its become difficult for White to find ways to improve the position. Objectively, I think White surrenders his opening advantage if Black plays 8…a5. At some point the rook will have to move from b1, costing White a critical tempo, as a b2-b4 push is no longer really possible. On principle alone, we could say this violates moving the same piece twice, and White therefore fails to maintain the initiative. This is not necessarily to say that 8. Rb1 is a bad move – just not the most effective when trying to prove an advantage against 2000+ rated players. While I’m sure White may come up with new ideas in the future with this line, Black will always have solutions given his extra tempo in development. This past weekend’s Pittsburgh Chess League match-up was certainly an interesting test for me. With an opportunity to break 2100 again and tally another point for the University of Pittsburgh team, I had had this day circled on my calendar since the conclusion of the Pennsylvania G/60 State Championships. 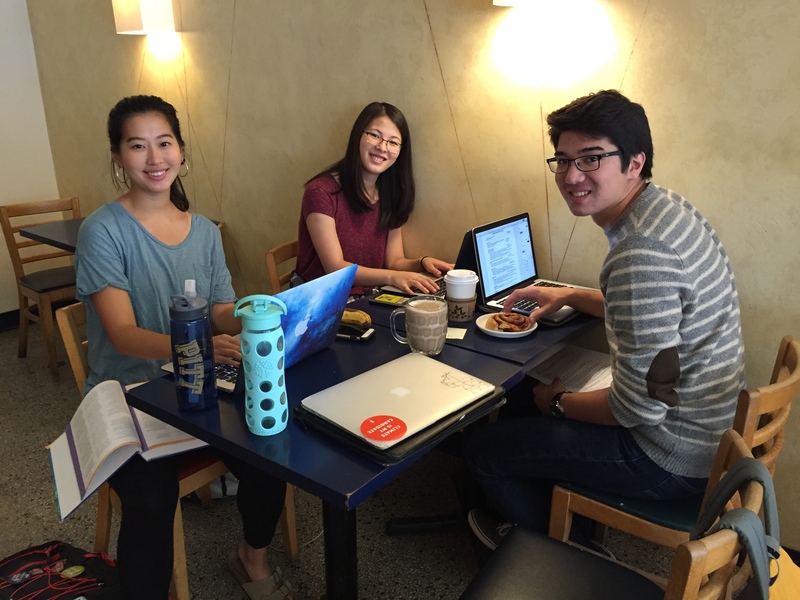 Studying at the 61 Cent Cafe in Squirrel Hill! Admittedly, the week leading up to my match-up was by no means optimal. Having fallen ill earlier in the week, I had to miss a few classes – meaning that I would spend the rest of the week catching up on homework and missed notes. Furthermore, with three midterms coming up, chess hadn’t exactly been at the forefront of my attention, so my preparation wasn’t just limited, it was almost non-existent. Thus understandably, I was extremely nervous for what was shaping up to be the single most important game so far this school year. Throw deep opening preparation out of the window! For some players, this may sound like torture, but knowing I had White I knew I could dictate the pace of the game. By eliminating the need for deep memorization with safe principled play, I rid myself opportunities to make unforced errors out of the opening. Play safe, avoid tactical complications. I had no idea who I would be paired against, but knowing that my team would need me to win, I decided it would a better idea to try to win my positional means rather than tactical ones. That’s not to say I wanted to eliminate tactics completely, it just meant I was looking for ways to get a safe edge – space, development, structural strength … which brings me to my last point. Stop all counterplay. This has proven to be an effective way for me to play in recent years when not feeling 100%, so it was natural to go back to this style of play. This method is incredibly effective against players under 2000, and proved to be an important theme in this game. With this in mind, I was somewhat more comfortable with the idea of playing. I was still a little worried, but I knew at the very least, I would have a reason to take my mind off the stresses of school, so I tried my best to relax the last hour before the game. I got paired against Jeff Schragin, a strong amateur from the area, and a player I have now faced four times since moving to Pittsburgh last year. While I was a favorite to win, Schragin had put the only real ding in my G/60 performance just a few weeks before, outplaying me most of the game before settling on a draw and effectively removing me from serious prize contention. Now with White and in a much longer time control, I had a chance to get my revenge in a relatively important league match. So needless to say, I got the exact kind of position I wanted that I had laid out in my game plan. Despite all the external distractions prior to the game to go wrong and lose, I maneuvered, created a positional bind, and won a nice game. While it was by no means a perfect performance, I was certainly a happy player after the three and a half hour fight. Well, what’s next? 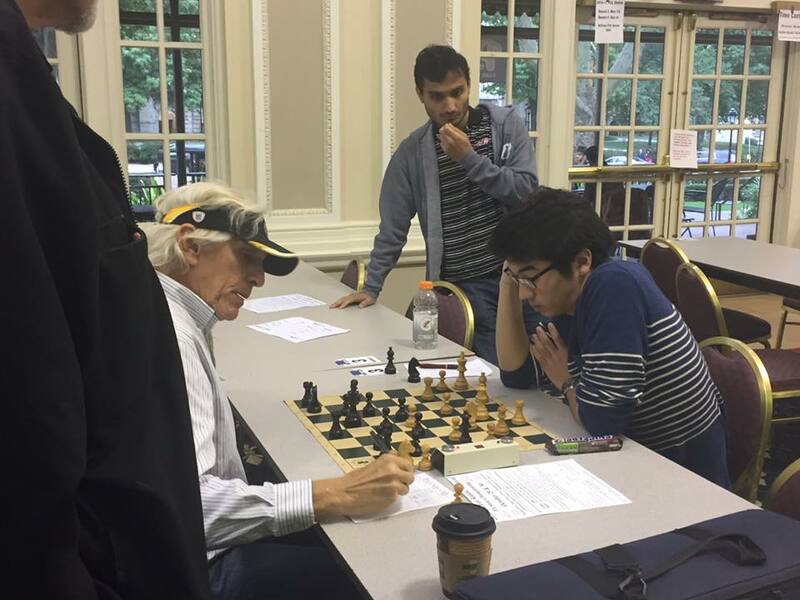 The official Pennsylvania State Chess Championship is at the end of the month, and luckily for me, I’ll have two weeks after my last midterm to be fully prepared for this tournament (and hopefully get some sleep too!). While this past weekend’s result was encouraging and certainly builds off the momentum from last month’s performance, I still have some room for improvement and a lot to play for going forward.